Fans of knitting and death metal should head to Kettle’s Yard in Cambridge, UK, next week. 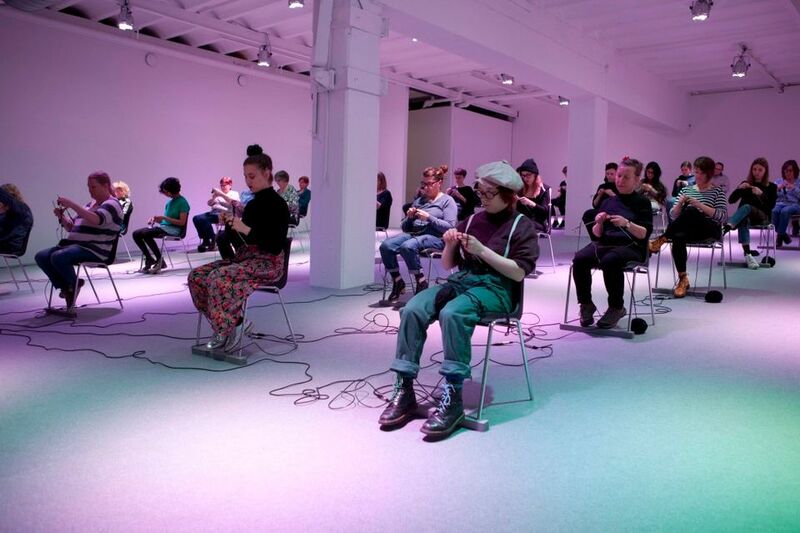 The London-based artist Oreet Ashery takes over the space next week (18-22 September), and is organising a mass knitting event entitled Passing Through Metal. This crochet spectacle will be accompanied by a live death metal band named Anoxide (the clacking of needles and the hum of drop stitch provide the perfect backdrop to the guitar riffs and thumping drums). Ashery’s video series Revisiting Genesis, a meditation on mortality, will also be screened. The artist’s presentation falls under the fig futures initiative, a UK-wide tour where 16 shows take place across the UK in 16 weeks (four exhibitions take place over four weeks at Kettle’s Yard). This countrywide contemporary art smorgasbord follows the project fig-2 where 50 exhibitions were staged in 50 weeks at the Institute of Contemporary Arts (ICA) in London. fig-futures is supported by Arts Council England, Art Fund, and the Outset Contemporary Art Fund.